Now your friend will become your main enemy on this map. 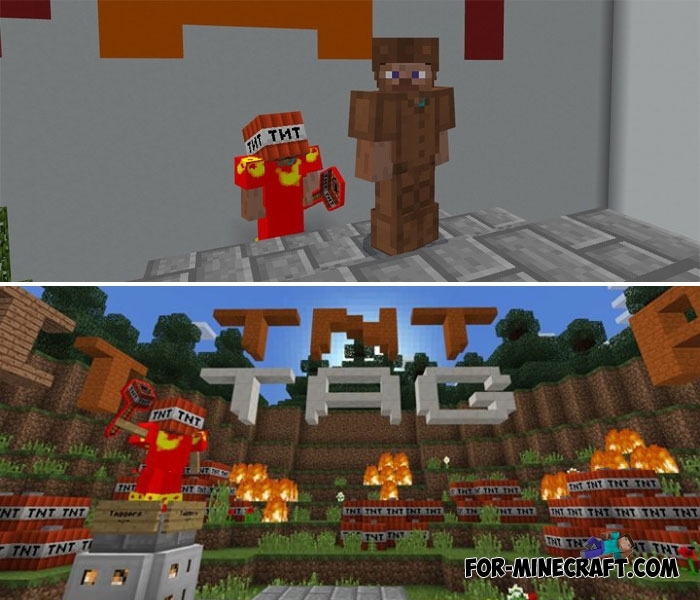 TNT Tag is an entertaining area for several players where you can not stop and you must always look around. Participants must split into two teams: the first team escapes and tries to survive as long as possible, the second team (if there are many players, it can consist of two or more participants) has only one goal to catch and hit the opponent. There is a countdown set to 45 seconds, this time allows hunters (the second team) to catch their victims, but as soon as the timer has finished counting, the hunters will lose. In fact, this is a very fast and active game, in no case do not stop at one place. The optimal version of Minecraft PE is 1.2.6.